Collier Pest Control is your Southwest Florida Pest Control Authority including Mosquitoes. Here in Southwest Florida, Mosquitoes are a part of our life. Those of us who have been here for a long time remember how bad Mosquitoes can really be without proper controls. There are 2,500 different species of Mosquitoes throughout the world, about 200 species in the United States, and 76 types in Florida breeding in salt and fresh water marshes, lakes, canals, ponds, and any place water will stand. One of the great mysteries of nature is that only the female Mosquitoes will bite you, the male Mosquito feeds only on plant nectar and honey dew off of plants. It wasn’t until local governments created Mosquito control programs, did people enjoy vacationing in Florida. Most of Florida was considered unbearable as little as 50 years ago. Biting Mosquitoes were not the only reason not to be in Florida. Diseases in epidemic proportions were present here in Florida until the early 1900’s. 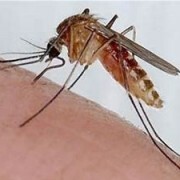 The Mosquito can transmit a number of diseases such as; malaria, west Nile virus, yellow fever, dengue, encephalitis, heart worms in animals and now Zita. Most of these are still present here in Florida today, but not publicized in the news. Mosquitoes cause more human suffering than any other organism. Mosquitoes breed in standing water and rest most of their time on plant foliage. Knowing the characteristics of the Mosquito gives us an advantage to control and eliminate unwanted Mosquitoes from our environment. Collier Pest Control has three ways to combating the invasion of Mosquitoes. First, Collier Pest Control can install Mosquito Trapping Equipment that attracts Mosquitoes and other flying insects with light, heat, and sound. This amazing economical machine will draw and control most flying insects up to 1 acre. Second, Collier Pest Control can eliminate resting Mosquitoes and flying insects on all your plants and foliage with our Flying Insect Foliage Treatment. This treatment places a residual material on all your plants, bushes, and lawn that will kill most flying insects that land or rest on them for a period of up to 3 months. Third, Collier Pest Control can stop unwanted Mosquitoes before they become adults. Collier Pest Control can treat any small ponds, lakes, ditches, drainage areas, or any place standing water accumulates. We can treat these areas with a growth regulator that will stop the immature Mosquitoes from developing into an adult. There is no reason to be suffering from annoying, biting, disease caring, flying insects any longer. Protect your family and friends from Mosquitoes that are around or near your home or business. Choose one of these convenient methods to eliminate Mosquitoes and flying insects around your home. If you live in Naples, Fort Myers, or Southwest Florida call 239-455-4300 Collier Pest Control for a free estimate and a complete explanation on any of our services, or look us up on our web site at collierpestcontrol.com.. Don’t let unwanted guests spoil your beautiful Southwest Florida lifestyle. Remember, Florida does not have to be shared with insects!